Steve was an elementary school teacher in Lubbock for ten years before changing life direction. He opened Agape Funeral Chapel in January 2004. 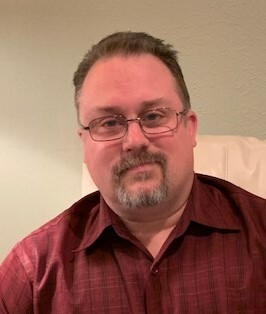 Steve moved to Lubbock from Minnesota in 1989 after graduating from Crown College with degrees in History and Elementary Education. He went to Amarillo College in 2004 where he went through the funeral directors program. Coming from a military family Steve moved every two years growing up. He has called Lubbock, Texas his home since 1989. Steve attends Southcrest Baptist Church. He is married and has a grown daughter. They are both proud graduates of Texas Tech University and Lubbock Christian University. Chris is from deep south Texas. He was a Mortuary Affairs specialist in the army and served in Iraq. 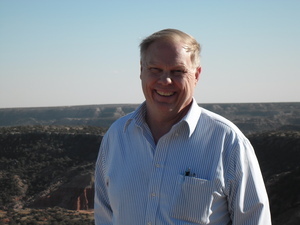 Before moving to Lubbock, Chris was in New Mexico where he worked as a mortuary transport driver. Chris is a licensed Crematory Operator and is our crematory manager. Kent started May 30, 2018. 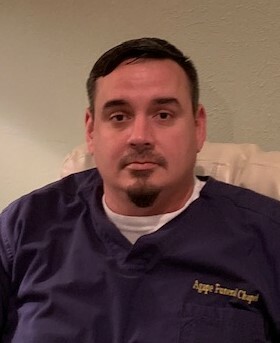 He is our new Funeral Director's Assistant and Licensed Crematory Operator.